The Prophet Daniel had a dream and visions of the future passed through his mind. He saw four great beasts, each different from the other, that he saw coming up out of the Mediterranean Sea. They were all Middle-eastern Empires. The first beast empire was Babylon; the second beast empire was Persia. The third beast empire was the Middle-eastern leg of the Greek Empire followed by a fourth beast that was terrifying and frightening and very powerful and that had had large iron teeth and crushed and devoured its victims and trampled underfoot whatever was left. It was different than all of the other beasts and it had 10 horns. The apostle John also the same beast empire arising out of the Mediterranean Sea and it too had ten horns but also seven heads, with ten crowns on his horns and on each head a blasphemous name. The apostle John reverses their order. He mentions the leopard which was the Middle-Eastern leg of the Greek Empire and then the bear which was the Persian Empire and then the lion which was Babylon. This last beast empire was one that was directly controlled by Satan. This empire was the same as the fourth beast empire that Daniel saw. Daniel starts with Babylon and John finishes with Babylon. In Biblical eschatology ‘beasts’ represent empires and ‘horns’ represent kings or rulers. The apostle John saw two beasts immerge; one came out of the sea and the other one out of the earth. These beast empires were both part of the same empire. The second beast empire is also called the false prophet and exercises all of the authority of the first beast empire and on behalf of the first beast empire makes the earth and its inhabitants worship the first beast empire whose fatal wound had been healed. This Second Beast Empire had two horns whereas the first beast empire had ten horns. These two horns of the second beast empire represented two kings or leaders. The fact that this second beast empire was arising out of the earth would lead us to believe that it is of satanic origin and like the first beast empire empowered by the Dragon or Satan and an empire being resurrected. This Second Beast Empire is different in that it is depicted as a lamb rather than as a wild beast although it reveals its real nature when it speaks. Even though it has the appearance and demeanour of a lamb behind the veneer of a non-aggressive empire it is just as wild and fierce as the first beast empire it serves. Put together these two beast empires are in fact the same empire. 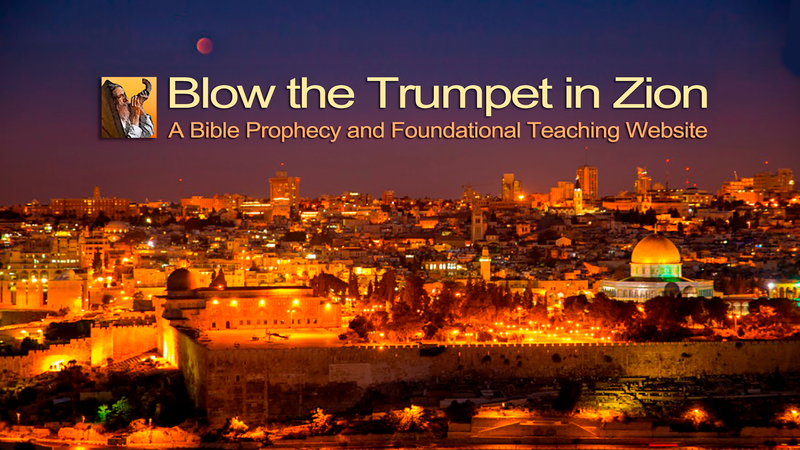 There are at least three main views held by prophecy teachers concerning this second beast. This view says that this second beast is a religious figure that has supernatural power to call fire down from heaven and enforce the worship of the image of the Antichrist and issue everyone in the world with a mark without which they cannot buy or sell and they say it has to be the microchip making cash obsolete. Some say this second beast will be a Roman Catholic Pope and that his name will add up to 666. The European Union they teach is the empire that the European Antichrist (the first beast) rules over and that it is a revived Roman Empire and that the ten horns are ten key nations of the EU. They also believe that the Pope will head up a ‘super church’ or global religion that goes along with the European Antichrist’s agenda and that she is the harlot riding on the back of the European Union which they say is the Roman Empire resurrected. This view is not a common one but says that this second beast is two empires that sprang out of the Roman Empire, namely England and America and that these two are associated with the Lamb (Jesus) and that they have both been associated with Biblical Christianity. This is also true of some European countries such as Germany, Holland and Switzerland but England and America would be the most likely contenders according to this particular view because of their Biblical evangelical roots. The fire coming down out of heaven they would say refers to nuclear devices or even satellite strikes from space. Satellite technology really started in America. The image of the first Beast Empire or religious system they say is the television also invented in America, the “image” that speaks and through which people are deceived into taking the mark of the beast system of government, the microchip. They say that the mark of the beast is the microchip, being the mark of the beast system of government, without which no one on the planet will be able to buy or sell. Ultimately this microchip technology will produce a global ‘cashless’ society. The barcode on products has three longer parallel bar codes with the number 6 which is hidden but together it is 666 and will eventually be implanted in humans. This view also associates the first beast with the United Nations of which England and America are a part of. Some would even associate the microchip with the European Union controlling global finance and ultimately producing a cashless society. This view says that this Second Beast also called the false prophet is the Islamic Mahdi or caliph of Islam come back in the character of Mohammad who gives his allegiance to the first beast system of Islam with its sharia law, it’s socio-economic power, its system of government, its military power and its religion based on the Koran. Some might suggest that the two horns are in fact two Islamic leaders of two nations that have become united in their ultimate goal, but in light of Militant Jihadist Islam would they exhibit the character of a lamb? The fire from heaven is the unleashing of nuclear weapons or even missiles that Islam will have possession of. The image to be worshipped is the Koran itself and the mark on the right arm and forehead is the arm band and head band with the Islamic creed printed on them. Anyone not wearing this will not be able to buy or sell within the domain of a revived Caliphate. This view is not widely held today among Evangelical Churches. These then are the main three views, there are other variations of these, but these three would be the main ones held by prophecy teachers today and all of them to some degree have elements of truth and feasibility in them given the technology we have in nuclear weaponry, television, the internet and in electronic banking that does not require paper money or coins. With these things in view let’s now look at the text.